Praying With Others - Prayer is a powerful way to interact with both God and others. 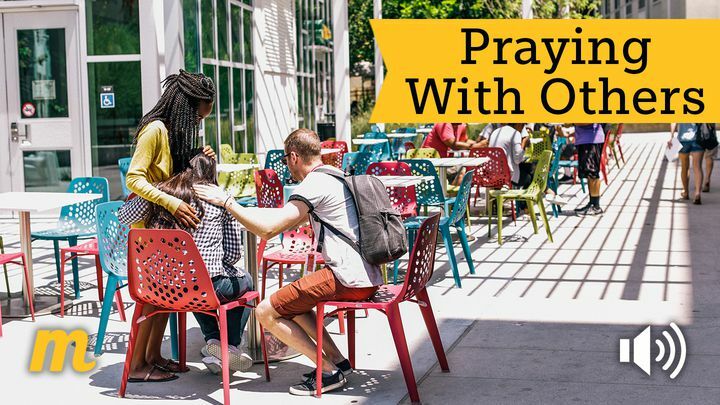 Praying with others can be both encouraging and deeply meaningful. This plan will help you think of new ways to do that. Each of the five days contains a short audio message (1-2 minutes). The guests share about praying face-to-face, deepening relationships through prayer, seeing God's power, and leading group prayer.